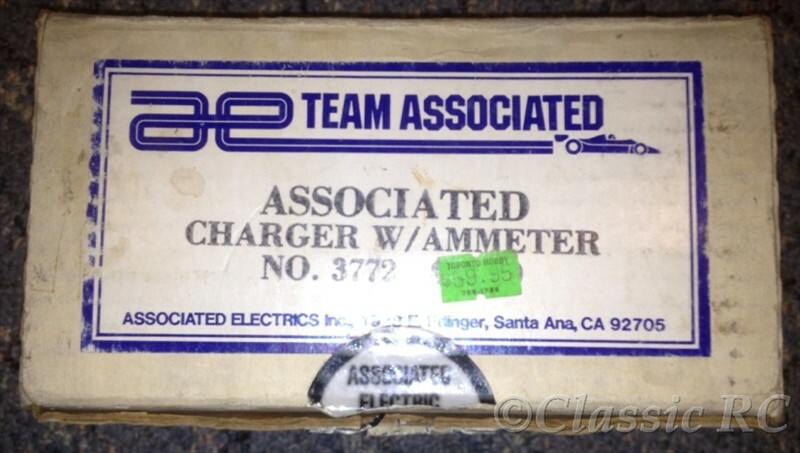 This is an early Team Associated Ni-Cd Fast Charger 3772 from 1981. 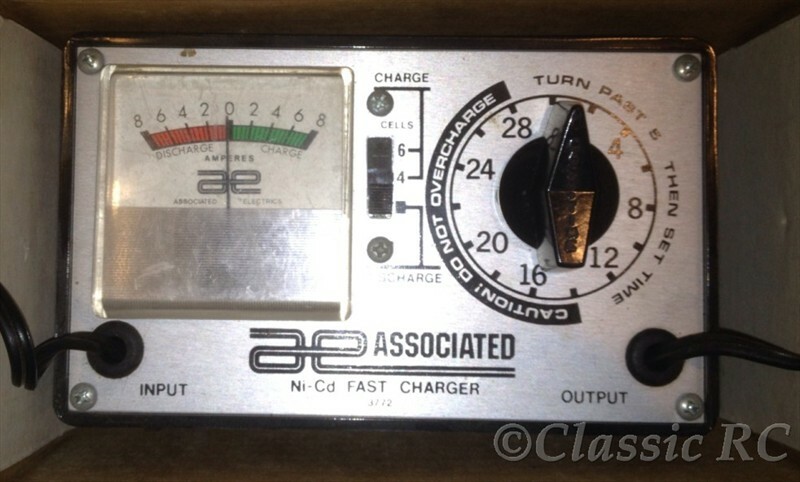 This charger is timercontrolled and could charge 4 or 6 cell batteries with a charge current of up to 8 amps. Also discharge was possible with this charger. Looking similar to the 6772 as successor, it is easy to keep them apart. The older 3772 has a silver coloured frontplate where the newer 6772 got the same golden colour as their famous RC10 car later.